Here is one think I do quite often lately: I cornered myself in a situation from where I can't see a clear way out. I learned that in the end you have to find the solution on your own, but this time, being a problem of relatively public interest, graphics for Fedora, I hope somebody will care, I really need a view from the outside of my box. The problem is: the Gears theme proposal for Fedora 10 as I see it is not blue and this is, in my opinion, a bad thing: a Fedora theme must contain blue (if not as the primary colour, at least as a secondary one) because blue is part of our identity (just as brown is part of Ubuntu's identity or green uis part of SUSE's identity). 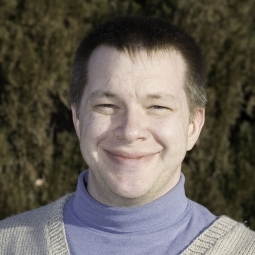 What I don't want is a glossy and modern look, like the KDE look, not only because I want to avoid confusion with KDE but also because I search for a steampunk look and feel. Here I got a simple idea: cheat (shamelessly). The quality of a watch (and probably any clockwork device) can be measured in the number of rubies it contains (ruby bearings), so add some rubies. Which are not that useful for me, as rubies are red/pink. Now to the real cheat: replace the rubies with blue sapphires, hopping people will not notice. But this does not look enough to me. Add some steel gears, the pocket watch I am using as a visual reference contains both bronze and steel gears. Now, I feel it is still not enough and went over the top, with something is not a good wallpaper image: add a big blob of blue in the form of a vial (it may be also a blue stone) integrated in the device. And I am not yet talking yet about the next corner: the animated backgrounds (the change depending on the time of the day we have in F8 and F9). 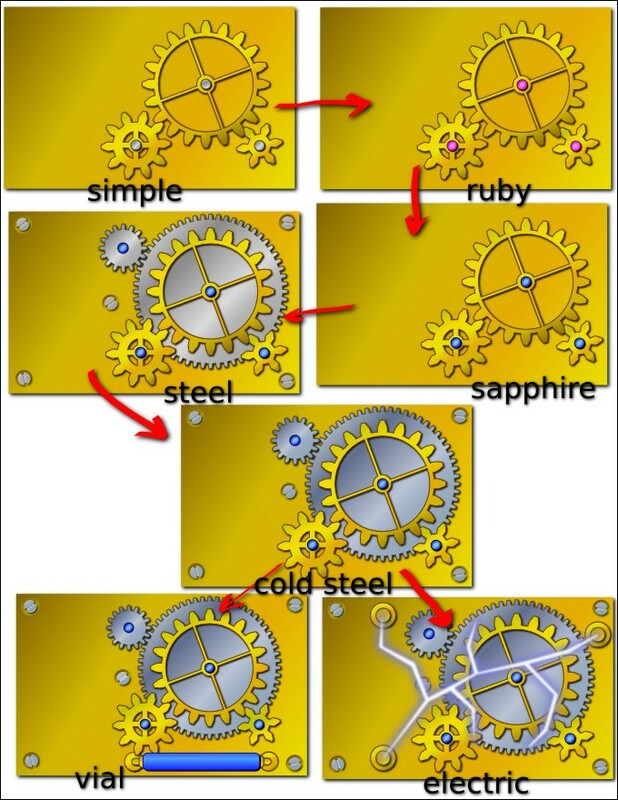 A gear made from sapphire maybe? But that would get me to the glossy KDE look, which I don't want to copy. When I was thinking sapphire grear, in my mind's eye, I was envisioning something like steampunk transformers: Optimus Prime crawling out of a 10,000 year old dirt grave with a busted chest plate. A half hidden cog, dull, faded, cracked and chipped. That one special grear in all his being that makes him tick. The Fedora Cog. A gear with the Fedora infinity symbol in the centre instead of the regular cross structure. ...the B/W version of it is nice too, tho. I understand the urge to make it somewhat blue, so if I were the artist I'd take the above and change those brownish colors to be blueish instead. Just shifting the color palette a bit (i.e. keeping the light brown a light blue and the dark brown a dark blue). I like the monochrome logo there...but with those color changes, maybe the genuine logo would fit better. just my thoughts, you're doing a great job as always :) but I wouldn't want my desktop to be gold/silver or to be it 98% very dark blue. 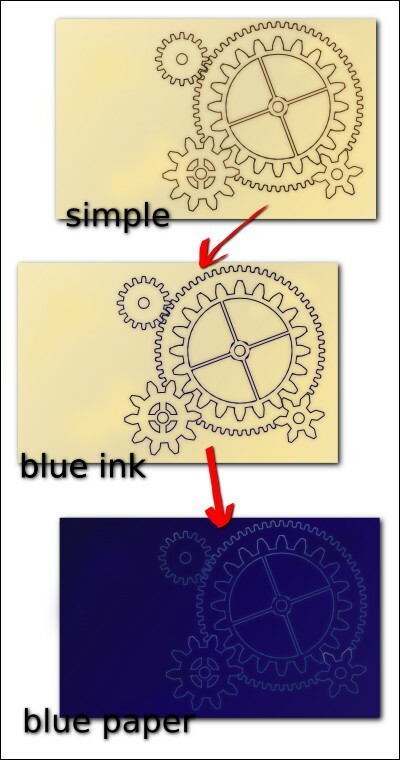 The "blueprint" version of the ink on paper is nice, but maybe add more variation in the blue background color. Also could maybe "weather" it a bit like it had been in storage for a while and been mistreated on the job site. I like the cold steel one - the vial and electric ones are a little too busy for wallpaper, I think. Along those lines, it would be interesting to see this in a more stylized look, sort of like the embellishments added in an illuminated manuscript. Just wanted to say that I really like the feel of the blue ink "Old drawing on old paper" art. It's a little softer than the realistic look (which I find a little harsh once it gets busy with colors and gears). Keep up the good work. Blueprint looks great.. for the 24 hours part that was done in the previous scheme.. you could have the cogs change one by one in a rotation.. Maybe raising up an Infinity symbol and lowering it. I like the blueprint and the sketch versions. I was curious how they might work with the sketch LPE that was introduced in Inkscape 0.46+devel. I LOVE the subtlety and simplicity of the last (blueprint) version. I think it would be perfect, and it would look great with different shades for different times of day. Definitely my favorite :D.